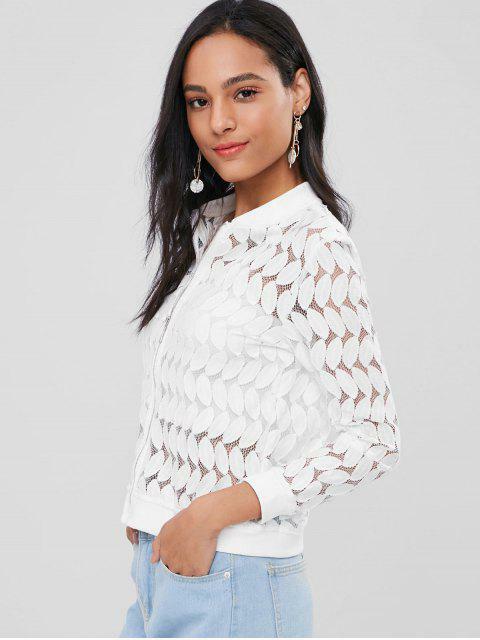 [31% OFF] 2019 Sheer Crochet Lace Leaf Bomber Jacket In WHITE | ZAFUL ..
NICE, LIGHTWEIGHT, WELL MADE AND EASY TO WEAR. THE LABEL WARNS TO HAND WASH OR DRY-CLEAN ONLY. The classic bomber jacket gets a feminine update with our open crochet fabric. It is finished with an exposed zip front closure and ribbing at the hemline and cuffs. Pair with a bodysuit and authentic jeans for a chic look.